I wanted to install Prometheus and Grafana on my new Kubernetes cluster, but in order for these packages to work they need someplace to store persistent data. I had run performance and scale tests on Ceph when I was working as a Cloud Architect at Seagate, and I’ve played with Rook during the past year, so I decided to install Rook+Ceph and use that for the Kubernetes cluster’s data storage. Ceph is a distributed storage system that provides object, file, and block storage. On each storage node you’ll find a file system where Ceph stores objects and a Ceph OSD (Object storage daemon) process. On a Ceph cluster you’ll also find Ceph MON (monitoring) daemons, which ensure that the Ceph cluster remains highly available. Rook turns storage software into self-managing, self-scaling, and self-healing storage services. 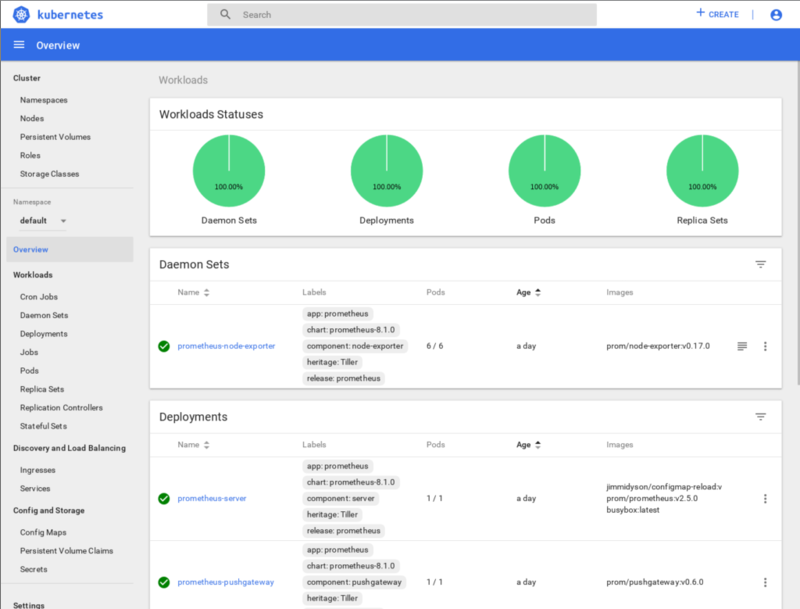 It does this by automating deployment, bootstrapping, configuration, provisioning, scaling, upgrading, migration, disaster recovery, monitoring, and resource management. Rook uses the facilities provided by the underlying cloud-native container management, scheduling and orchestration platform to perform its duties. When I created the cluster I built VMs with 40GB hard drives, so with 5 Kubernetes nodes that gives me ~200GB of storage on my cluster, most of which I’ll use for Ceph. I need to make Rook the default storage provider for my cluster. That updates the rook-ceph-block storage class and makes it the default for storage on the cluster. Any applications that I install will use Rook+Ceph for their data storage if they don’t specify a specific storage class. Normally I would not recommend running one-off commands on a cluster. If you want to make a change to a cluster, you should encode the change in a playbook so it’s applied every time you update the cluster or add a new node. That’s why I submitted a PR to Kubespray to address this problem. The Helm charts install Prometheus and Grafana and create persistent storage volumes on Rook+Ceph for Prometheus Server and Prometheus Alert Manager (formatted with XFS). I’ve been setting up and tearing down Kubernetes clusters for testing various things for the past year, mostly using Vagrant/Virtualbox but also some VMware vSphere and OpenStack deployments. I wanted to set something a little more permanent up at my home lab — a cluster where I could add and remove nodes, run nodes on multiple physical machines, and use different types of compute hardware. With these parameters each VM will have 4GB RAM, 2 VCPUs, and a 40GB hard drive. I cloned Kubespray into a directory and created an Ansible inventory file following the instructions from the README. The get-vm-ip script is in the same repo as the create-vm script, and both are described in my Use .iso and Kickstart files to automatically create Ubuntu VMs article. The inventory.py script generates an Ansible hosts inventory file in inventory/mycluster/hosts.ini with all of your VM IP addresses. Once the playbooks have finished, you should have a fully-operational Kubernetes cluster running on your desktop. 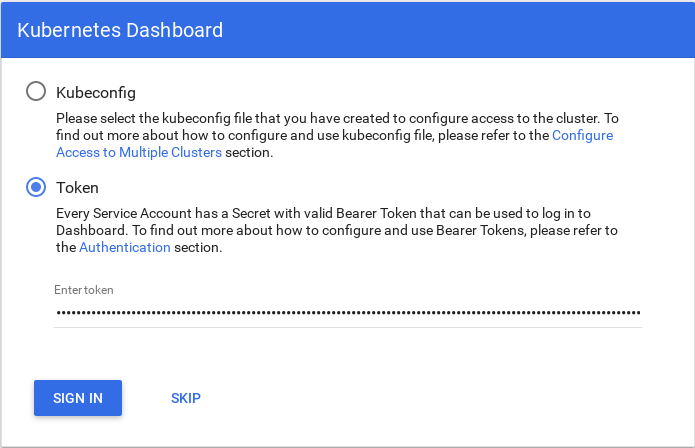 Finally I plug the dashboard URL that I got from kubectl cluster-info into my browser, select “Token” authentication, and cut and paste in the bearer token to log into the system. With a minimal amount of working compute infrastructure, it’s easy to set up your own production-quality Kubernetes cluster using Kubespray.